The Carbon Smart Building Conference Program inspired and equipped leading architects, structural engineers, contractors, developers, materials manufacturers and policy makers to scale up the building industry’s collective commitment to reduce the carbon emissions footprint of the built environment now, and eventually store carbon at massive scale in the built environment. Attendees left committed to lead the decarbonization of the built environment, and equipped with the latest tools, resources and programs to help their firms thrive in a zero net carbon future. Today the built environment is the biggest contributor to the Global Warming problem. The building industry must work together to become a big part of the Global Warming solution. In this session we’ll establish a framework for the building industry to collaborate to phase-out carbon emissions and make the built environment a carbon sink. We will also define the commitments we must make now to dramatically scale up our impact. 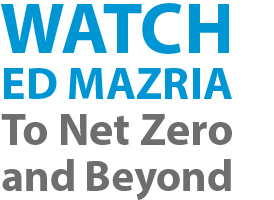 The Net Zero Carbon Buildings Commitment challenges companies, cities, states and regions to reach Net Zero operating emissions in their portfolios by 2030, and to advocate for all buildings to be Net Zero in operation by 2050. Transforming the built environment requires an historic global collaboration. It will require measuring the carbon footprint of every project during design, build and operations, and Net Zero Carbon certification for every project. Our success depends on sharing expertise, tools, and technologies, and a vision of positive transformation. Measuring the carbon footprint of every project during design, build and operations is a pre-requisite for reducing it. This session will describe the recent developments in tools and best practices for Whole Building Life Cycle Assessment and Net Zero Carbon certification. Sponsored by Carbon Leadership Forum. The environmental impact of buildings doesn’t start when occupants first move in, or finally move out. High performance building project managers must consider the carbon emissions of creating, recommissioning, and decommissioning buildings. This session will highlight the challenges several property owners are tackling to reduce the true impact of their projects with an eye to embodied carbon. Participants will help identify the barriers to reducing embodied carbon and develop approaches to overcome them. Policies to reduce embodied carbon emissions are taking a range of approaches. By learning from the history of operating carbon emission policy, we can improve the chances that we’ll get embodied carbon policy right the first time. In this session, participants will be introduced to recent embodied carbon policy implementations and will be challenged to think about how to select the best approach for their jurisdiction. Reusing an existing building rather than demolishing and building new is the first step toward sustainability. To get to net zero carbon from existing buildings, we must go beyond changing light bulbs and upgrading HVAC. Building Owners & Design Teams must deliver deep reductions in building energy demand and carbon emissions (both embodied and operating) using strategies like whole building ecology and bundling of measures. There is a strong business case for doing so. 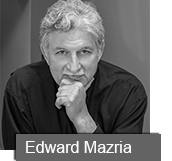 This session will explore best practices for deep green building rehab solutions that can scale, and challenge attendees to make these solutions standard practice. Retrofitting our buildings to improve their Energy Efficiency is an opportunity to save businesses and households money now while reducing greenhouse gas emissions. And improve occupant comfort and health. And grow industry revenues while generating living wage jobs. Why aren’t we doing more of it? How can we scale up the investment we’re making in deep energy efficiency retrofits? This session will explain how we can leverage recent innovations in technology, policy, and financing that are ready to scale, and describe the business development potential of the energy efficiency resource. Energy retrofits represent the largest and lowest-cost GHG emission reduction opportunity facing urban areas. In addition to a range of community benefits of deep energy retrofits such as comfort, health, and the creation of living wage jobs. When retrofits include deep energy upgrades, they can offer a range of possible energy savings, and improve ROI for owners. This session will identify the greatest barriers to investing in deep energy retrofits, and help attendees understand the elements required for a comprehensive policy to stimulate investment. How we design buildings can help accelerate our transition to a clean grid. Technology innovations such as batteries, solar, IOT (Internet of Things), and big data) can support grid-optimal project design, and new resources and tools can help design teams implement grid-optimal projects. This session will help attendees understand how to define and address local grid challenges, and will suggest resources and tools that can help design teams implement grid-optimal projects. To ensure the widespread uptake of net zero buildings, they must be financially viable, from the investment stage through operations. Using examples from across the country and globe, this session will dive into the regulatory and policy drivers that that incent developers and owners to go net zero. Panelists will also address the tools, technologies, and practices that we can use today to achieve net zero while driving down building operational costs. Progressive state and local governments and companies have implemented a wide array of policies to decarbonize their investments and operations. Internal carbon pricing. Low-carbon procurement standards. Zero codes. POS upgrade requirements. Commercial benchmarking. Residential disclosure. Pioneers of these policy innovations have learned from these experiences and are moving forward with wider and deeper application. This session will educate attendees about what is coming and how to prepare for a low-carbon future. A public/private partnership is essential for rapid progress to convert the built environment into a significant solution to climate change. Buildings have profound impacts on quality of life for building occupants, surrounding communities, and the global climate. How can we think about and incorporate these impacts into our projects to maximize the triple bottom line? In this session we’ll describe approaches to make maximization of social, environmental and economic benefits standard operating procedure. Imagine the building industry contributing to the creation of a socially just and equitable world. Imagine every architecture, engineering, and construction firm making life better for people from all walks of life. Imagine giving a voice to people who rarely have one. Imagine transforming entire supply chains and accelerating local and regional economies. Imagine changing who does business with whom. Imagine realigning government procurement to both reduce greenhouse gas emissions and help marginalized communities thrive. Commitments to radically shift the built environment toward net zero carbon. How will I do things differently in the future? On my next project, in my next meeting, my next business decision? What are my personal commitments? How will I measure my success? How will I make a difference? How will I hold myself accountable? We’re not yet on track to avert catastrophic climate change. And we’re running out of time to change at the scale needed to ensure a stable climate for future generations. We need to aim higher, do more, and figure out how to work together more effectively. This session will showcase innovations in collaboration that we must adopt to scale up our impact. A collective impact initiative brings people together, in a structured way, to achieve social change. It starts with a common agenda, establishes shared measurement, fosters mutually reinforcing activities, encourages continuous communication, and it has a strong backbone. "We acknowledge that we hold this world in trust, and recognize the immediate threat climate change and its impacts pose to current and future generations. We cannot address the climate crisis without eliminating carbon emissions from the built environment...We support Carbon Smart Building as a global movement to create maximum collective impact. Together, we can help draw down excess atmospheric carbon and create a built environment that supports a healthy, equitable, and sustainable human community." 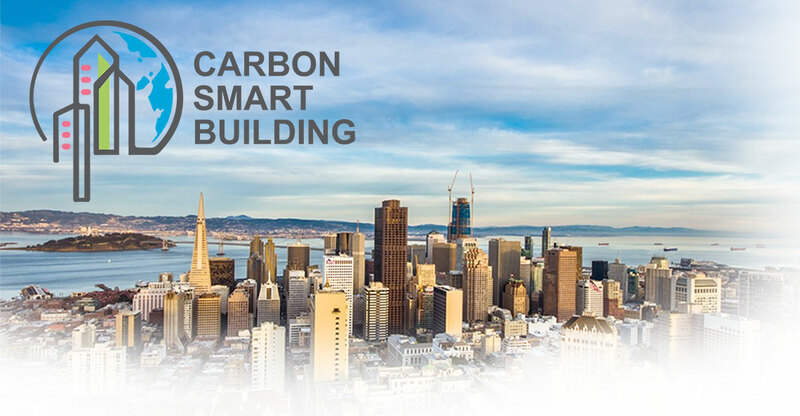 Carbon Smart Building is a news and information service of Carbon Innovations.